[dropcap2]I[/dropcap2] was very happy and enthusiastic when I saw Magic of Motown Live Show banner on the streets of Warsaw. As a Dj and a Hip Hop head, I started to digging in my vinyl crates looking for a Motown records. I’ve got many and I treat them with respect during listening at home or doing a Dj Set in the club. Anyway: this was a great opportunity to feel the vibration from back in the days in 2014. After this energetic start a positive vibe was more and more perceptible. After 10 minutes of show first couple emerged in a front of the main stage. Security guards were impassive. This was kind of funny seeing people whose dress code was more like an opera-style, dancing and shouting to artists singing song from The Supremes. After first 30 minutes almost whole middle exit area was crowded by audience who decided to stand up and dance. At the same time me and my wife were dancing together at first tier of auditorium where our tickets allow us to stay. After break a man from the audience showed up on the stage with announce to his girlfriend asking her for her hand. Of course she agreed and this nice and positive tone led us to the second part. 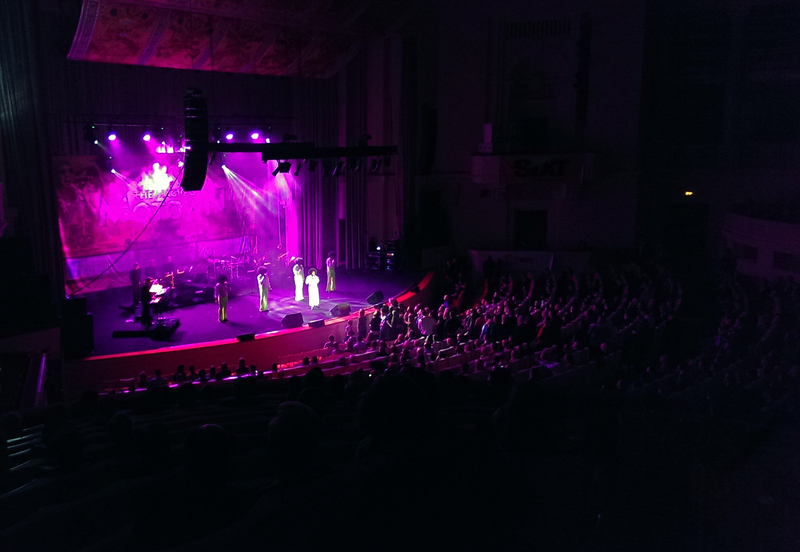 More and more covers started to banging in the Congress Hall: Isley Brothers, Temptations, Steve Wonder and Marvin Gaye. At the end the bomb was dropped: Jacksons 5 – I want You back. Singers plus little fellow (young M.J. double) started to singing, dancing and acting like a legendary band from early 60’s. This was a great final moment of this evening. 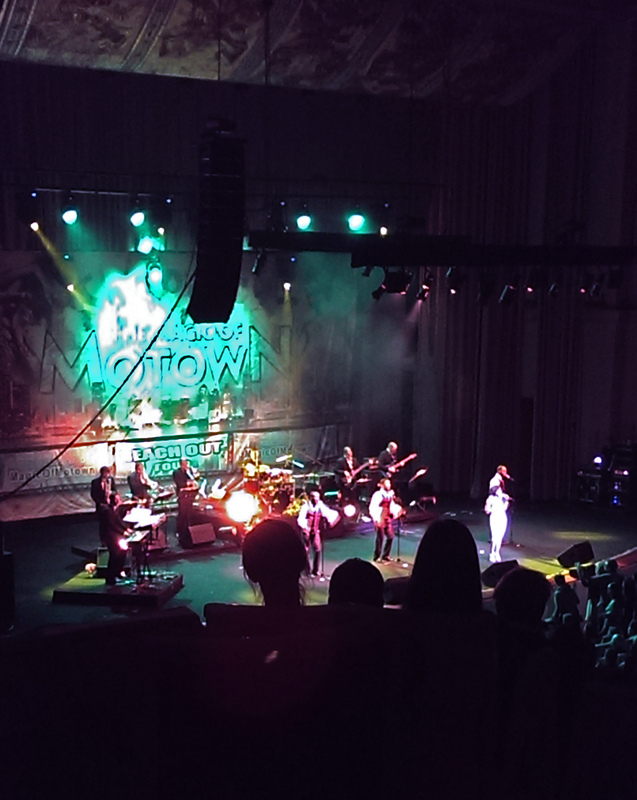 The Magic of Motown Show is a great event for all who like early 60’s and 70’s funk & soul music. Vibe is stunning because of the voices on stage. It’s cool to hear those funky sounds straight from USA, even if these are covers (performed in a highest level ). They sounds really familiar to the original artists. I hope there would be more events like this: where people well dressed in a suits can drop all appropriate behaviors and be free just for this short period of time. Event where dancing is nothing unusual. Where dance is a proper way of expression. Many people seemed to be purged after concert. In the beginning I saw angry faces tired after a whole busy day at work, a bunch of crowd who wanted to listen some covers. Fortunately they ended up as a party rockers in a social dance community which was created through positive vibe on the stage. Tagged breaks, congress hall, covers, diana ross, disco, funk, funky, jacksons 5, jacksons five, magic of motown, magic show, magicofmotown2014, michael jackson 2014, motown, motown hits 2014, motown label, motown records, motown show, social, soul, soul train, steve wonder, the jacksons. Previous: Everybody wants to be fit. Why people do fit-style “selfies”?